So I have found a lot of mushrooms this year, but the overwhelming majority of edible ones have been chanterelles. The past two years that I've mushroomed in the summer I've found more boletes than I did this mushroom season so far, where the boletes were very sporadic, and usually not very large. 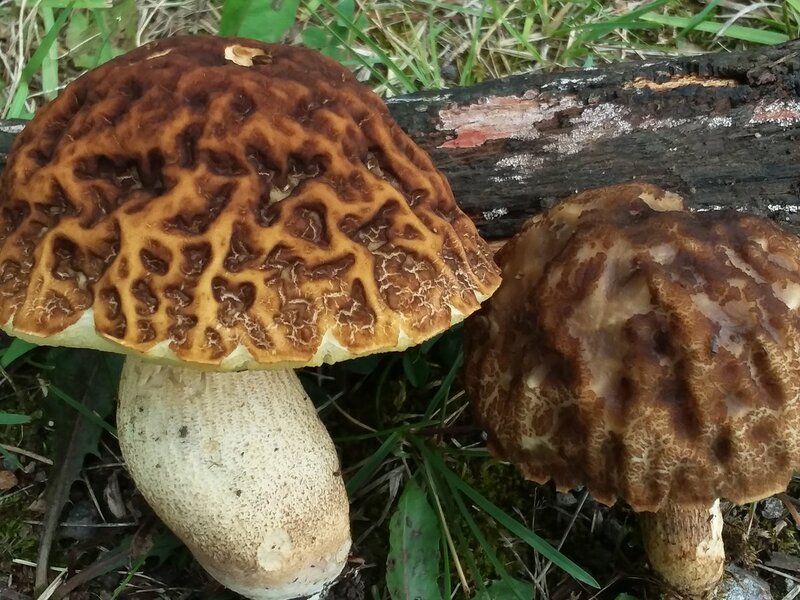 I actually have found clusters of suillus of some kind and some kind of bolete as well in my yard, but I don't know if I've seen a single cluster of two or more at a given spot in the mountains this year. Any ideas? I suspect the rain had something to do with it. Thanks for your opinions and knowledge! Just now noticed this discussion from awhile back. Some of the summer bolete species --in particular Boletus separans, Baornagia bicolor-- had a down year around here in 2018. Mycorrhizal mushrooms seem to ebb/flow in annual cycles. I think the fungus may need to achieve necessary energy requirements in order to produce mushrooms, and sometimes this process gets stuck on low energy for part of a year, or maybe even a few years running. Certainly, availability of moisture is always a key ingredient. But other factors seem to apply. It's part of the challenge... at any given time finding the mushrooms that are ready. I got really nice collections of B. edulis this past September into early October. That looks like Gyroporus castaneus. If it is, Kuo rates it as excellent for the table. I don't remember if I ever consumed it. Lots of boletes in northern Allegheny County this year. There were some big flushes that I identified as B. pseudosensibilis. One of the club members called them bicolors and bagged lots of them. I didn't try them. Steve, your bolete looks like Boletus separans. If correct, the flesh/pores should not stain or bruise and the flesh should taste mild (not bitter). This type sometimes has a reticulate stalk surface (netting on the stalk surface, may be very fine), but not always. Bobby, I agree your bolete looks like Lanmaoa pseudosensibilis (formerly in genus Boletus). Except, I don't see any staining/bruising on it. This species bruises blue very easily, especially on the pore surface. 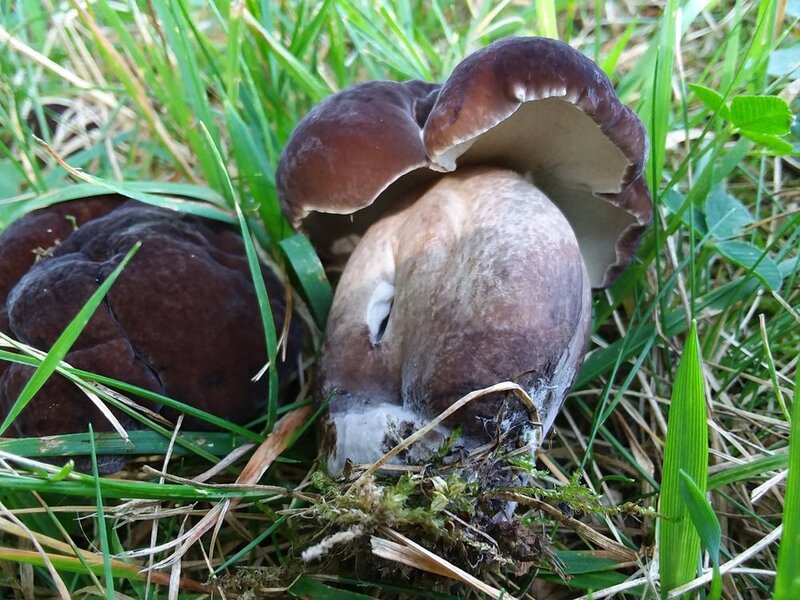 If it did indeed fail to bruise/stain, then maybe look at genus Auriboletus. Very likely not Baorangia bicolor, as the way the pores/tubes attach to the stem (recessed) is wrong for bicolor. Neither of the boletes seen in the last two posts represent Gyroporus castaneus. The one I called pseudosensibilis did bruise blue. They were nice looking until I handled them. Large flushes August into September. Suillus was mostly absent this year, at least in the conifers I visit. 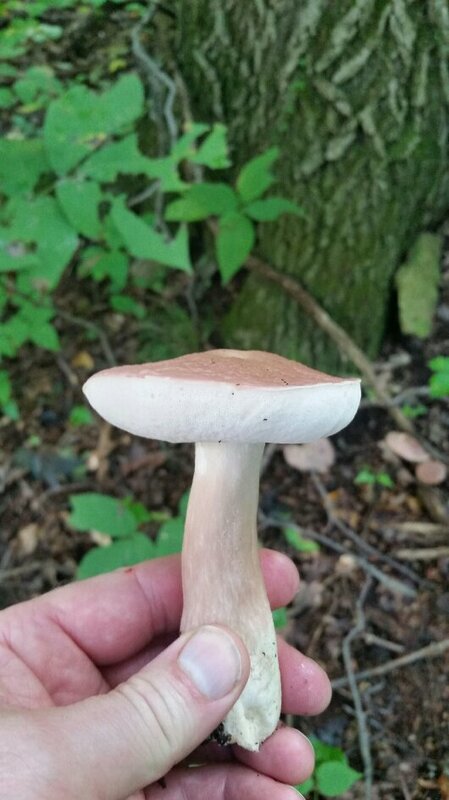 Several Leccinum species were common this year. It stains black. rugosiceps? 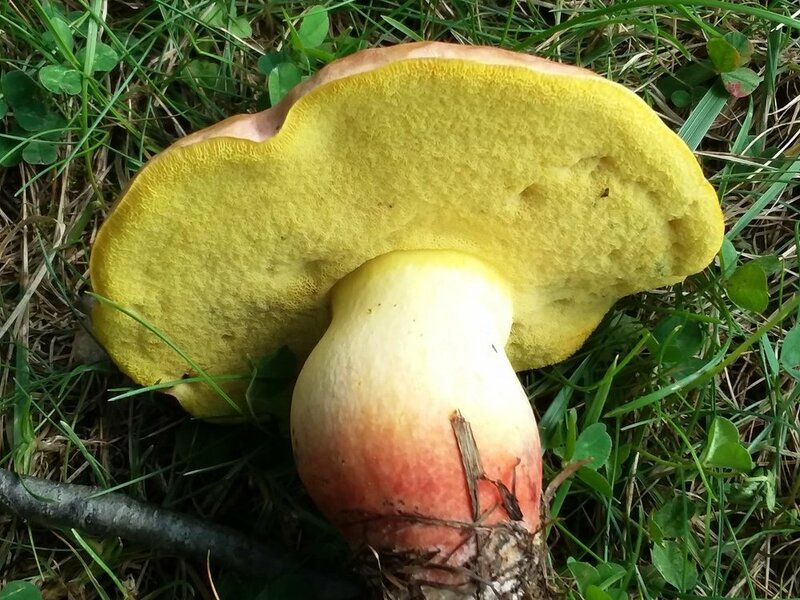 Here's another bolete that was common this past July and August in Western PA. Sometimes the cap was lumpy and irregular but sometimes it was smooth and convex. 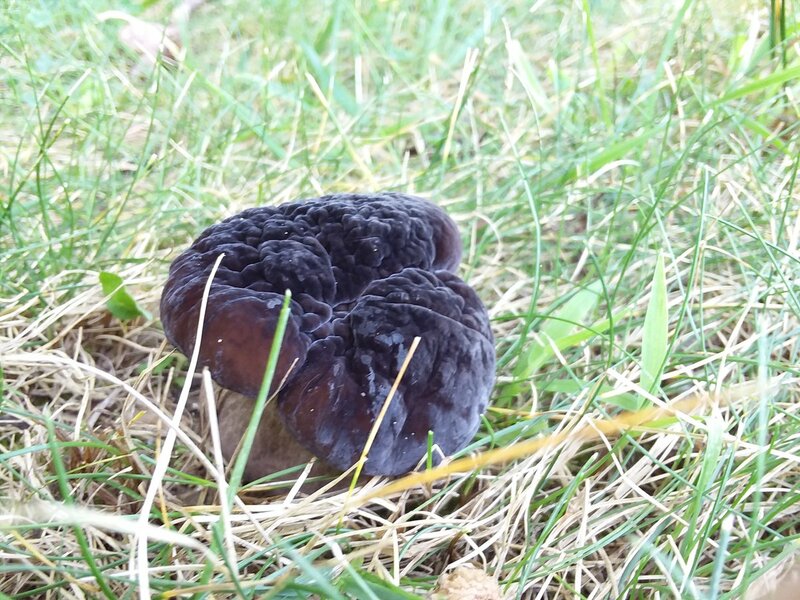 Called it Tylopilus alboater. Some people love it.